Radon isn’t a commercially produced gas just for the purpose of benefiting out of it. The gas is formed due to certain natural processes i.e. with the breakdown (decay) of uranium under the soil. The element radon was first discovered by Fredrich E. Dorn, a German physicist in the year 1990. While he was working with the element radium (studying radium’s decay chain), he named it as radium emanation. After uranium, radium, thorium, and polonium, Radon was the fifth radioactive element that was discovered at that time. Today, we know radon as a radioactive gas that’s odourless, colourless and tasteless. It is a naturally occurring resultant of decaying uranium which is actually the heaviest element on earth. Radon has an atomic number 86 with the chemical symbol as Rn. The gas is considered to be a critical health hazard that keeps affecting the human health throughout the time. Several times, reports from the United States Environmental Protection Agency (US EPA) have stated how radon causes damage which is almost next to the loss caused due to cigarette smoking. It actually leads to more than 21,000 deaths every year and increasing cases of problems related to lung cancer. This gas is the 6th leading cause of lung cancer-related deaths around the globe. As per the standards, a construction that has radon levels under the measures of 4 pCi/L is considered to be safe. While any building that has a level which is more than 4 pCi/L is said to be exposed to radiations that are 35 times as harmful as standing next to a radioactive waste site. However, this is also true that essentially no levels of radon can be called as safe, but 4 pCi/L is somewhat an acceptable measure. And almost $2 billion dollars annually are invested in radon-related health care costs (directly or indirectly) in the United States. Nearly 1 in every 3 homes according to the EPA reports has radon levels above 4pCi/L, therefore, remediation plans have also been suggested. Radon gets formulated due to decaying uranium that’s been present in the surroundings since the earth for formed. This means the existence has been like uranium, radium, and thus radon which will fundamentally remain to subsist forever and probably in the same levels as of now (or maybe more). Friedrich Ernst Dorn discovered radon in the year 1900 when he noticed that radium compounds were actually originating some radioactive emissions during an experiment that he was carrying out. He named this emission as Radium Emanation (Ra Em). It is however said that in the year 1899, Pierre and Marie Curie had already observed such an emission that remained radioactive but only for around a month. The same year, Owens and Ernest Rutherford along with Robert B noticed continuous emissions from thorium oxide that remained radioactive for a couple of minutes. This radiation was called as emanation (emanare in Latin meaning expiration or to elapse). Later, it was officially named as Thorium Emanation (Th Em). Rutherford in the year 1901 had demonstrated the radioactivity of emanations however credited Curies for the element’s discovery. André-Louis Debierne noticed similar radiations from actinium naming it Actinium Emanation (Ac Em). All the three discoveries got recognized by several suggested names like exthorio, exradio, and exactinio in the year 1904; thoron, radon, and akton in the year 1918 along with thoreon, radeon, and actineon in the year 1919. 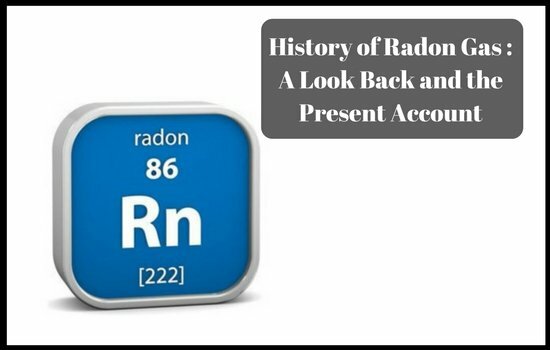 But, it was only in the 1920s that the names radon, thoron, and actinon were finalized. However, in the year 1910, Sir William Ramsay and Robert Whytlaw-Gray were the ones to isolate radon and also determined its density suggesting that the radiation might contain some elements from the category of noble gases. A fresh name got suggested for the emanation as Niton (Nt) because the gas caused an unusual glow when came in contact with some particular substances. In the year 1912, International Commission for Atomic Weights accepted this name. However, in the year 1913, International Union of Pure and Applied Chemistry (IUPAC) along with The International Committee for Chemical Elements acted upon and finalized the names radon (Rn), thoron (Tn), and actinon (An). After all of this, radon and radon fluoride obtained its first synthesized compound in the year 1962. The dangers associated with high radon exposure have been long known. However, the first major study of radon dangerously affecting the human as well as animal health was determined in the contexts of uranium mining. The affected areas were found to be Joachimsthal in Bohemia and Southwest regions of United States. And the issue got highlighted during the days when the cold war was happening. The problem was said to be a miner’s disease and a ventilation system was advised to be installed in the mines. It was also called as a mountain sickness which later on was identified as a condition leading to severe lung cancer. And since then the neglected gas has been taking away lives for which mitigations systems have been asked to tighten up. Upon cooling and getting to a solid state, the gas glows in yellow colour. And as the temperature lowers, the gas shines in an orange-red colour. 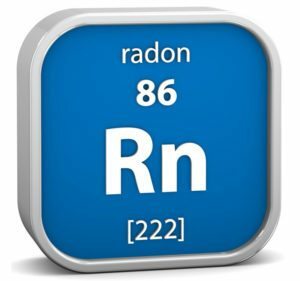 Radon has a half-life which is about 3.8 days and has a stable isotope (radon-222). Basically, radon seeps into constructions as the resultant of underground decaying uranium, radium or thorium ores. Plus it also varies greatly in amounts from region to region. It is highly dangerous, however; on the other hand, very small amounts of radon are also used in treating certain types of cancer by established and certified hospitals. Otherwise, radon must not prevail inside our houses or business constructions. If any amount above the level of 4pCi/L exists in the building, the detector must ensure the accurate number and accordingly the required ventilation systems must be made use of! Radon isn't a commercially produced gas just for the purpose of benefiting out of it. The gas is formed due to certain natural processes i.e. with the breakdown (decay) of uranium under the soil. The element radon was first discovered by Fredrich E. Dorn, a German physicist in the year 1990.